In fact, the iPhone stuck on Apple logo and not allowed into IOS system is common thing. Recently, we got an iPhone 8 that stuck on Apple logo and won't enter IOS, the iPhone 8 can't be used. After checking, we found it is caused by the touch ID that is not working properly. Here is the latest solution for this failure, let's fix it step-by-step. If these common software solutions don't work, then we need to take another solution (hardware solution). Put iPhone on the WL Aluminum pad, and then press the iPhone 8 power button to turn it on, the Apple logo appears normally, but after a while, the iPhone 8 still stays in while Apple logo interface and it doesn't enter IOS, it just stuck on Apple logo. Connect iPhone 8 to the computer with iPhone lightning cable, restore it with iTunes, and then activate iPhone 8 by inserting the SIM card, we found the return function for iPhone home button is not working, the iPhone 8 fails to activate. Use phone opening tools to disassemble the iPhone 8, disconnect the iPhone battery and then remove the iPhone displace assembly. 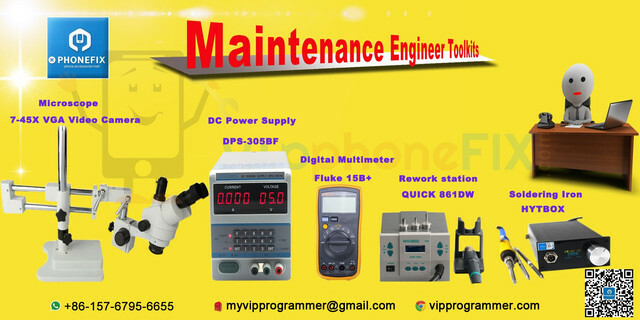 Use digital multimeter to measure the voltage for the iPhone home button power supply, all the voltage tested are normal. Now we need to check if the 3D flex cable of the iPhone display assembly is damaged, after checking, the 3D flex cable is normal. Carefully remove the iPhone 8 home button, and then check the iPhone home button flex cable, it is normal. We know that the iPhone home button is connected to the iPhone logic board via the flex cable behind the iPhone display assembly, so we replace the new iPhone display assembly, connect the iPhone home button to the new iPhone display assembly, and then connect it to the iPhone logic board. Turn on iPhone 8 and test it, the problem still there. Disassemble the iPhone 8, put iPhone logic board under the microscope, and then measure the diode data for each pins on the socket J5800, all data tested are normal. We try to replace the new J5800 socket. Apply iPhone logic board to the PCB holder fixture, apply some solder paste to the solder pad, use QUICK 861DW and tweezers to remove the J5800 socket, and then solder the new J5800 socket. Put the iPhone logic board under the microscope to check, it is soldered well. Measure it with digital multimeter, all data is normal. Install the iPhone and test it, now the iPhone 8 can get into IOS properly, and the iPhone home button works perfectly. Wanna a Right-hand Man Around Your Phone Repair Shop? The iOS 11 System Hard Disk Expansion Precautions - Do You Know!